The Student Government Association of the University of Massachusetts will formally recommend to the Board of Trustees that the Student Activities Fee (SATF) be raised by $17.32 per academic year. Currently, the SATF costs $231 per year per student. Out of that amount, $100 goes toward the Student Union renovation and $131 goes toward funding Registered Student Organizations and other agencies such as Student Legal Services and the University Programming Council. RSO and agency leaders showed their support for the increase, mentioning they were struggling with large budget cuts this year. The sentiment was echoed by many other RSOs and agencies, who said under the current budget they would not be able to afford to pay staff members and would have to lower employee hours overall in the 2019-20 fiscal year. Aditi Joglekar, president of the South Asian Student Association, said “some of next year’s cultural events are in extreme jeopardy” if the increase in the SATF is not approved by the Board of Trustees. If the raise is approved by the Board of Trustees, RSO and agency budgets for the 2019-20 fiscal year will be adjusted accordingly. According to Speaker Ryan Mahan, that could mean RSOs would get a return of roughly 12 to 14 percent and agencies would get a return of roughly 17 to 19 percent. Mahan said the increase of $17.32 would also benefit students by decreasing prohibitory costs such as the cost of tickets to RSO events and the cost of dues charged by RSOs for students to become members. Another proposal by Mahan in regard to funding RSOs and agencies was to move away from cutting RSO budgets based on how well RSOs followed bylaws and guidelines and focus only on funding RSOs based on how they support themselves. This would mean RSOs which generate a lot of revenue themselves and suffer less from budget cuts. 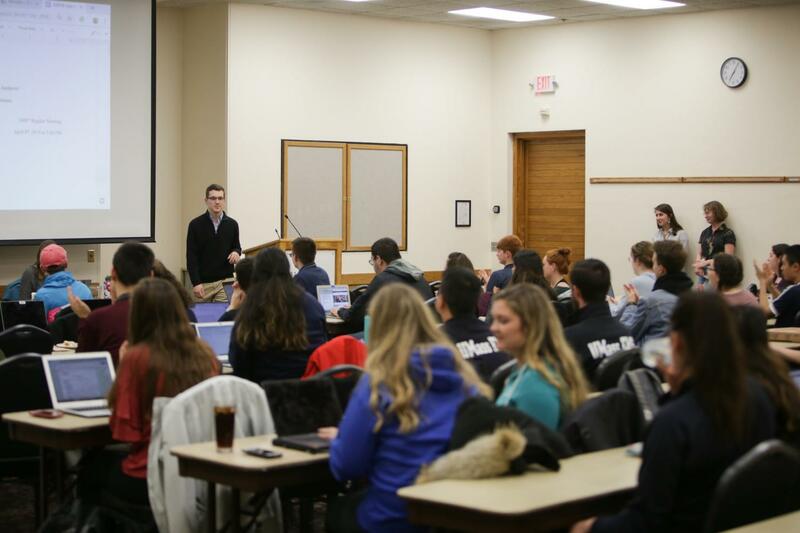 Mahan believes this will be beneficial because it will encourage groups to fundraise and relieve pressure from the Student Activities Fee to cover all the costs of RSOs and other agencies. According to SGA Advisor Lydia Washington, there is currently no standardized process to fund the organizations, so it is up to the chair of the Ways and Means Committee to decide how to allocate the budget every year. This means the SGA will be endorsing a letter to the University calling for the exemption, following the example of other federally-funded universities such as the University of Colorado Boulder. You can’t raise your fees and then complain when the university raises other fees. I’d like to see a breakdown on how many students benefit at all from the SATF and how many don’t. My guess would be that the majority do not, and if it came down to making it optional (like MassPURG), few would pay it.